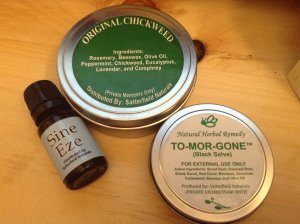 Amish farmer Sam Girod of Owingsville makes 3 products: a chickweed salve, a bloodroot salve and an essential oil blend called Sine Eze. You can find similar products online. In fact, you’ll find the recipes online. You can make these products in your kitchen, it’s not rocket science. A few years ago, the FDA came after Sam for labeling crimes — Sam said his salves could cure certain things and that’s a big FDA no-no. Sam immediately fixed the labels as per FDA demands. But then the FDA fixated on him and just would not let go. I’ve seen this over and over and over again. An alphabet agency gets you in its sights and just will not quit. State agencies are bad enough, but the feds… the feds are especially lawless. There is no accountability in a federal agency, they break their own rules as a matter of course. The first thing of note is that, when it comes to powerful well-funded federal agencies looking to set precedent, the Amish have a special target on their backs. Why? Because they generally don’t use lawyers which makes them easy prey. They don’t use lawyers because the Amish are self-sufficient, they know their constitutional rights and they are a peaceful community. They don’t fight back (unless lives are at stake). Sam is going to prison. The court will not accept Sam's word over the allegations in the indictment. The testimony of other Amish residents probably won't be allowed and if they are they won't be given any weight by the court. Sam and the other Amish residents should have never made any statements or even acknowleged the existiance of feteral agents. I signed the petition, wrote to Governor Bevin, Called and left a message with the Sheriff, and emailed Trump. Please join me and let's make our voices into a thunder! I will be praying for this family and I hope to go to the trial jury on Monday! We've got to stand together for freedom or we will ALL lose it! We beg President Trump to issue an immediate pardon for Sam. Please sign this petition today! An email to Trump could only help. We sincerely hope that Atty General Sessions will step in and stop this gov’t abuse. A quick email to him will help. Call or email your legislators, all of them. Your U.S. Senators and House Reps as well as your state legislators, even if you don’t live in KY. Just do a search on your legislator’s name and you’ll find a phone number or email address. Find your KY legislators here. Contact Matt Bevin here or reach him by phone at (502) 564-2611. Matt Bevin’s Facebook page can be found here. Donate to Sam’s legal fees. Attend Sam’s trial on 2/27/17 at 9am at the Federal Courthouse, 101 Barr Street, Lexington, KY. It’s slated to go for four days. Even if you can’t stay very long, a presence at any time will be helpful. Probably earlier is better, but any time. Find the Justice4SamGirod Facebook page here.